As many of you may know, Riley is my little life line. Living a life with PTSD is no fun, but having Riley there for me when I need her makes everything so much better. This summer I did something I never even thought I would do, to be away from my home, without the security of my family for any extended length of time. 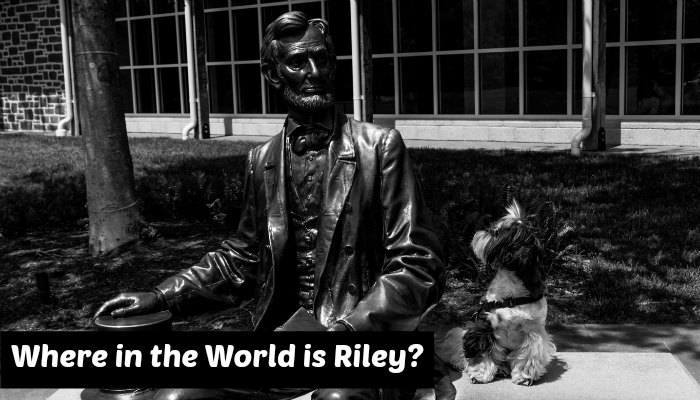 Today we are kicking off our Where in the World is Riley traveling series about our adventures. We will share some fun historical facts about the places we visited and what made those visits so special. So do you know where Riley is in the picture above? 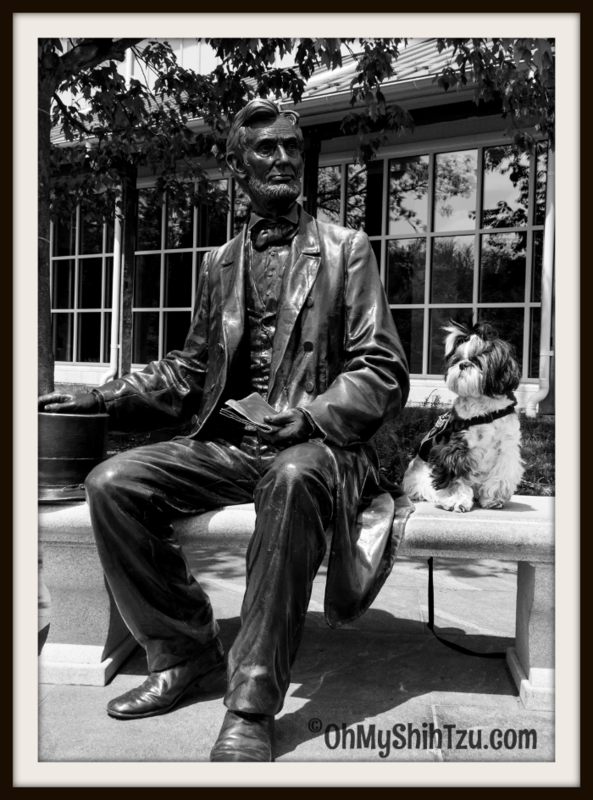 I think this is one of her favorite spots, though I don’t know what she was thinking as she looked up at Abe… I can tell you though that she wasn’t thrilled to sit next to him at first! But eventually he started to grow on her a bit. 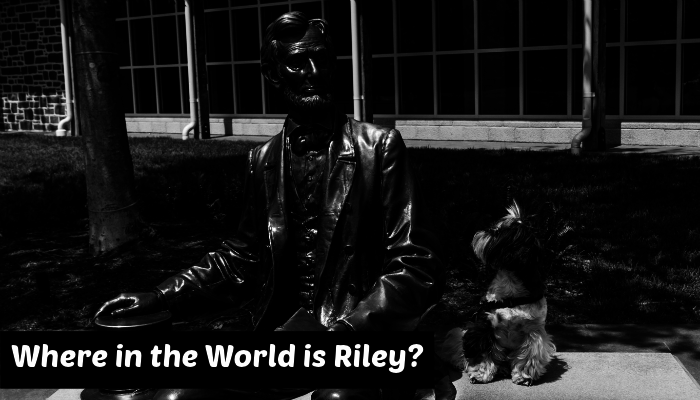 So join us this Thursday to find out Riley’s location in our Where in the World is Riley? Shih Tzu Travel Series! I have to agree with the majority here and say Illinois! I once put some treats in the hand of a sitting statue and Haley thought he was amazing, lol! I’m guessing Illinois as well but wouldn’t know where there. I LOVE this series! Enjoy your travels. The Lincoln Library in Springfield, IL?? Rachel Sheppard recently posted…Bloat vs GDV: Is one more dangerous than the other? Mom says that Rapid City has some cool statues like that. I’m not too amazing at defining places, but I will say you look very intrigued there, Riley. somewhere in Illinois????????????? Or Washington? Caren Gittleman recently posted…Fun Film Friday!!! It’s Time For POPCORN!! !